Good idea, Kev, and I would do the same, and hope that Etsy is successful for you in getting the fleeces sold. We shall see I guess, I've sold one so far so it's looking good! 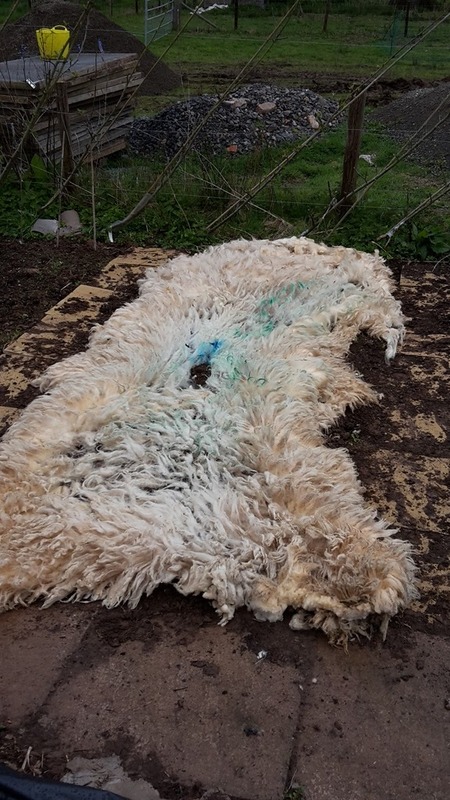 I see no reason why it wouldnt work, the insulating properties would be good as well, if you soak the fleece in a dustbin of rain water for a week, you will get a good liquid fertiliser as well, you would still have the fleece to use as a mulch. i think it's got lots of positives going for it. Another part of me really doesn't like the wool boards hold on the prices. They say it's run buy farmers but I have my doubts. 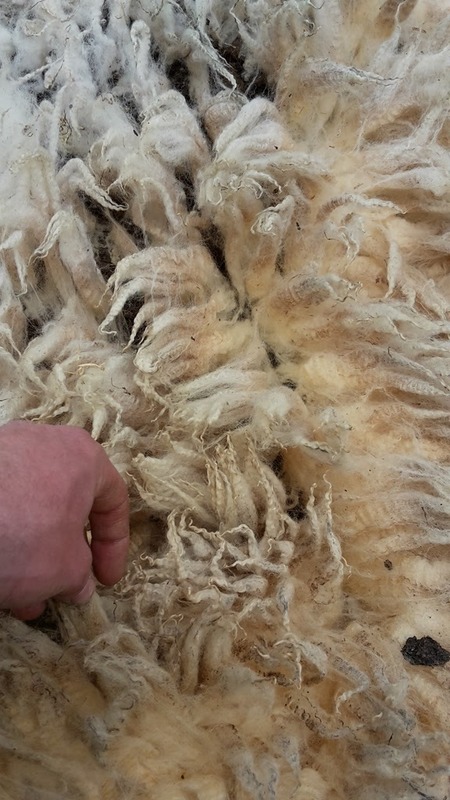 Our local Herdwick sheep were once sheared for their wool which was in big demand for using in carpet manufacture. Now they use it for insulation, bit of a come-down? I know. I bet if you told an old farmer what I was doing with mine they'd be disgusted! It is. Although the plants will need to be a good size to grow through it. I feel downright guilty saying that it sounds like an excellent idea. I had a pang of guilt as well! I agree Kev, brill idea. They also use it as loft insulation. Shame that it's no longer used commercially for knitting wool, but maybe some local spinners would be interested in it. How about tanning it and making sheepskin rugs as well?... Slippers for the kiddies? To tan it I'd have to take the skin off the sheep first! I'd love to make large felt mats that would be even better for weed control but I think there would be too much work in it. Oh gosh, what a dipstick! Of course, it's just fleece, not a hide from a dead sheep! Silly me! Well, I'll be! For me personally, all I can say is . . . I learn something new everyday. And hooray for making do with what you have! I try to make everything pay for itself here and at the moment the sheep are struggling for how much work I put into them! Id be willing to try it. I think it's too far to ship! i think it's a great idea kev! and i would love to buy some from you but with how far apart we are the shipping would be gargantuan!!!! keep us updated as to how it works out. Shipping might make it not viable it must be said! 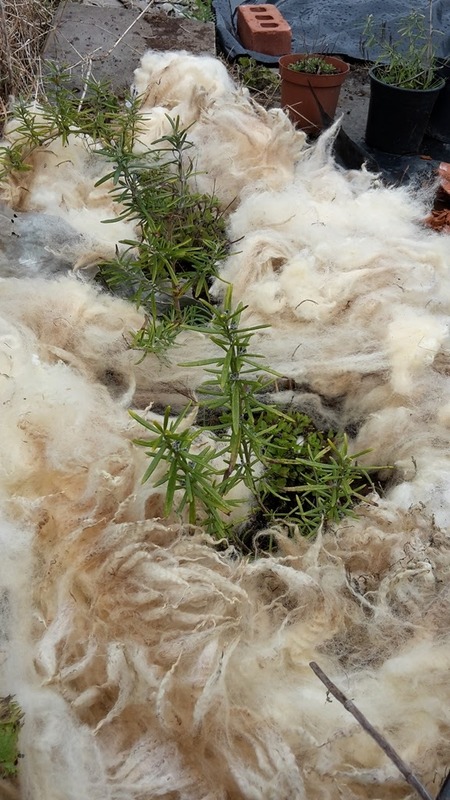 I used mohair in the garden before. It worked till the dogs made a big mess of it. People here are making wool stuffed pillows. They charge a fortune for them. I was thinking about making some for my mom and I. The selling point of wool pillows is that dust mites don't live in wool, like synthetic materials, so its good for people with allergies. That's a great idea although I no idea how you'd clean it properly. there must be somewhere I can send it off to so it can be cleaner properly. You just wash the wool in hot water with dish soap. Don't agitate or it will felt. Rinse several times till water is clear. Spin the water out in a washing machine to remove excess water and then lay out to dry on a screen in the sun. You can find instructions online for washing wool, but since its going into a pillow and not being used for spinning you don't have to worry about it getting messed up washing it. It just has to be clean. The pillows sell for like $50-100 + here. Been there,done that. If you have any stray predators around they will LOVE you for it. I had to rescue my neighbors dog when she rolled herself up like a big Burrito in it last time I checked. And she broke off a number of tomato plants while rolling too. Wool is worth even less over here unless you really put some time and effort into it. I just count the shearing as part of the expense and toss the wool for the most part. The only predators around here are foxes and badgers, but they tend to stay away from the garden. Shearing is just a cost with the upkeep but I hope this can work well and be a good way of controlling weeds. Can you get into spinning your own yarn? I'm sure it's another string to your bow. You need to post a link to your etsy account. I nominated your blog for being a crap blog today... only kidding I think it's amazing!!!! and I said so in my post! Ah thank you Kirsty, I do love my crap blog! No chance of spinning my own yarn, although my wife loves to knit, who knows spinning may be a needed skill again one day, I'm glad there are people who still do it, but I know I don;t have the patience for it. I'll send you an email this weekend. I was meaning to anyway about hellens as well.